Supporting Member – Can you give some clear examples of signs of how a pastor or church leader is crossing the line from being a shepherd to a spiritual abuser? It would be helpful to know when to support a pastor when he is genuinely trying to defend and protect his flock from outside and wrong influence vs. a pastor who has an agenda and is above questioning or accountability. It seems like the lines are sometimes blurred. Can a Christian Divorce Another Christian for Abuse? Spiritual abuse happens when someone volitionally manipulates another person to accomplish an ungodly agenda. All abuse, including physical and sexual abuse, is spiritual abuse. You cannot physically or sexually abuse someone without harming their inner being, their spiritual selves. I realize your question is not asking about physical or sexual abuse, but you are asking a question about the internal harming of one’s soul, which is what all abuse does. Humans are two parts (dichotomy), physical and spiritual. The spiritual aspects of a person include the soul, spirit, mind, will, emotions, thoughts, intentions, and so forth. The physical also has several parts, e.g., internal organs and external body parts. Spiritual abuse happens to the soul, which primarily affects the mind, how a person thinks. Spiritual abuse takes the victim’s thoughts captive by trying to manipulate them to believe lies. If the internal harming of the soul continues unabated, it will exponentially affect the person spiritually, especially how he (she) relates to God, to himself, and to others. Darkness comes over the soul, which can lead to depression, despair, despondency, and even suicide. It also leads to erratic behaviors like random anger, fear-motivated withdrawal, or alleviating mechanisms like alcohol and medications. Alleviating abuse happens more than you may think, which makes your question relevant. The most common place where you find spiritual abuse is in contexts where someone has authority over someone else, whether the power is God-given or self-proclaimed. 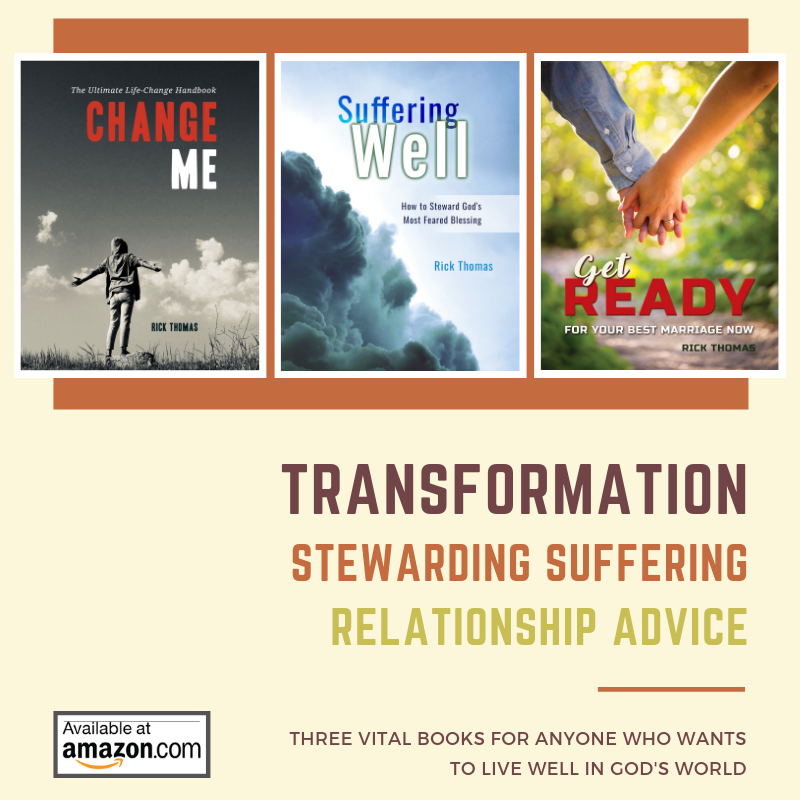 The two most common places where spiritual abuse happens are marriages and local churches. (It can also occur in work environments.) In these contexts, there are God-given hierarchies. These “biblical structures” will become dangerous when a person makes it so. God pre-wired people to follow others. Paul called Christians to follow other Christians (Ephesians 5:1; 1 Corinthians 11:1; Philippians 4:8). Our culture calls this the herd mentality, which is an unfortunate connotation. Christians call it biblical wisdom and humility. You were not wired to be an independent god, but to follow God (and others who are servant leaders). You see this throughout the Old and New Testaments. God raised up leaders for His people to follow. So far, so good. The problem comes when some of these leaders forget their God-given call and God-illuminated directives for leading others. Your question is a dangerous one, but you must ask it. It is dangerous because it can unsettle and even destroy a local church. I know you and, thus, I know the carefulness and sobriety in which you are approaching this subject. You would only proceed with caution. There are souls at stake. If there is no spiritual abuse, caution is paramount, so our Christian brothers and sisters are not discouraged by the discourse. If there is spiritual abuse, caution is also paramount because our Christian brothers and sisters are in harm’s way. They need help. You have to warn them. Intervention must happen. The other people group you want to think about are those who reject our religion. You do not want to give them more ammunition for their arsenals. The most significant concern is God’s fame, of course. You want to make God’s name great in all you do. You cannot ignore potential spiritual abuse, especially when you are made aware it is happening. To be silent about the abuse makes you culpable in the abuse. I appreciate Matt Redmond’s affection and his courage. I understand his love for humanity, as well as for the body of Christ. I admire his courage in that he is willing to speak up on a matter that is far more important than some of the things we like to turn into arguments. To answer your question, I’m going to ask you eight questions. These are eight signs of spiritual abuse. I trust these responses will help you. My questions do not represent an exhaustive list or a list in order of importance. 1 – Do You Have to Ask? If you have to ask whether a person is spiritually abusive, that may be your first sign. Think about Jesus here. Nobody asked that question about Him–nobody with any common sense, that is. If you are sitting under a pastor and you have a general sense of uneasiness about him, you need to explore this–first (1) in your mind, (2) then with God, (3) your spouse, if you’re married, and (4) possibly a close confidant. Please keep a tight net around your thoughts, at least in the beginning. If you are right, it will become apparent to all, but if you are not, you do not want to damage a person’s reputation or discourage others. 2 – Does He Delegate? Abusive pastors are usually controllers. They like to micro-manage their organization and their people. There is one way to do things, and it is his way. You will not find a lot of biblical liberty that taps into the diversity in the body of Christ. Alternate opinions are not encouraged or celebrated. 3 – Does He Clone Leaders? Along with his tight control over how the church operates, you will also sense the only ones who can do anything are those who are lock-stepping with him. Think Hitler here. Hitler believed in a superior way, and he granted promotion only to those who gave allegiance to him. You had to be trusted to carry out his policies, using his methods. The spiritual abuser will “test” his candidates, usually with extra-biblical guidelines. His guidelines. The people promoted within his system will think and act similarly to him. They are pawns, who won’t buck the system. His system. One of the interesting things you’ll find with his underlings is if you ask them a question they do not know the answers to, they will not be able to answer you. They will have to check with HQ before they can give you an answer. The Spirit of God and His Word are no longer leading the church. The leaders “keep in step” with another kind of spirit. 4 – Does He Clone a Culture? Because of his heavy-handed control and his clone replication of leaders, you will begin to notice a lack of diversity in your local church. They will create their language, mannerisms, and customs that will like the leader. When guests visit, they will notice how different it is from the rest of the body of Christ. Those inside the clone factory will take this as a compliment. Those outside the clone factory will think it is a cult. No sensible Christian should walk into any Christian church and believe it is a cult because of the unique language, mannerisms, or customs of the church. Paul wrote to many churches, teaching them how to think and behave, and you see a consistent pattern throughout church history of local church body life. Within all the diversity within all the local churches, there is a similarity between all local churches around the world. If your church is becoming something other than what anyone would typically expect from a New Testament local church–while making allowances for pneumatic (Spirit-led) diversity–there may be a danger. This problem will point back to tight-fisted control of the leader. 5 – How Do You Feel? If you are not around your pastor, are you less guarded? Are you free to be you? I am not talking about the “fear of pastor syndrome” where insecure people are intimidated by authority figures or people who overly exalt their pastor, thinking he is larger than life. One of the pastor’s greatest strengths is his ability to build up another person while humanizing himself. Do you feel edified and free to be the person God is calling you to be or are you more cautious about your words and actions when you are around him? Think Hitler again. If I were around Hitler, I would guard my words and actions. If I were around Jesus, I would be relaxed and free to be myself. If I were not relaxed, He would lead me to that place (Psalm 23:1-6). I know I can make a mistake around Jesus. I would be nervous about messing up around Hitler. The abusive pastor makes you more self-aware and self-conscious. You feel more constricted and less free, especially when around him. 6 – Are You Free to Speak? Can you tell him what you are thinking? Let’s go back to Jesus again. Prayer is one of the most beautiful mediums you have as God’s child. You are encouraged to talk to Him. You can tell Him anything and never fear undesirable repercussions. Your pastor is the Lord’s under-shepherd. He is called to emulate the Savior as he provides an example for you to follow. You should be as free to talk to your pastor as you are free to speak to the Lord. Do you feel like you can share your concerns with him, whatever they may be? Do you believe he can be trusted? Does your pastor steward your thoughts and concerns like Jesus would, always seeking your best? Can you disagree with him? Does he approach your differing opinions as a learner, not a defender of his position? Is he willing to allow you to exercise your views as long as they are not contrary to the Bible? Is he willing to change his mind because he sees the wisdom and value of your input? 7 – Is He Ignorant? It is possible for a pastor to be a novice. He may not be a recent convert, but he could act like one. One of the patterns I have noticed in our church culture today is how the process for selecting pastors does not pay attention to the right details. In many cases, the qualifications for a pastor is not 1 Timothy 3:1-7. It is more about (1) a person’s ambition to be in a ministry, (2) possibly his education, (3) his charisma and ability to lead and (4) the church is looking for a particular guy, but his character is not at the top of the list. A genuine desire to be a pastor, along with an excellent pastoral education and a leadership gift does not make you a good leader. Hitler had two out of these three, a strong desire to be great and a pronounced leadership gift, though twisted. He was not an educated man, but he was street smart. The qualifications Paul gave Timothy were mostly about a person’s character. Except for the gift of teaching, the criteria for a pastor is the same for any believer. They are Christlike character traits found in the heart of the person, which take a lot of time to discern. There have been too many instances where men have been given the reins of a local church, even though they were deficient in character. Premature promotion is a disaster for the church people, the pastor, his family, and God’s fame. It is easier not to put a person in ministry than to put him in ministry and have to remove him later. The fallout can be disastrous and generational. 8 – Is He Humble? Has he created an environment for personal growth and relationship building? Servant leaders develop environments of grace where those they serve can grow and mature into the unique Christlike people that God called them to be. The humility of the leader accomplishes this, not his pride. Your “spiritual abuse question” also applies to you: Can your spouse and your friends share their concerns with you, whatever they may be? If they cannot share because of your immaturity, anger or unwillingness to listen, you need to reconsider how you may be abusing them. A humble man or woman will want to hear about areas of weakness because he’s never about himself. The humble pastor welcomes grace-motivated, grace-concerned individuals who are seeking his best for God’s glory. That kind of pastor is an active learner because he is willing to change, grow, and mature. He’s a good under-shepherd.